To celebrate the 30th birthday of Madonna’s second album “Like a Virgin” VH1 decided to unload several truths about Madonna that milleniums don’t – and definitely should – know. 1. She is still relevant. 2. Her age is irrelevant — and people really need to stop obsessing over it. 4. She’s a damn good songwriter. 5. Yes, she can sing. 6. She didn’t peak in the ’80s. 7. Like a Prayer and Ray of Light will always be more influential than Blackout (2007), The Fame Monster (2009) and — yes —Beyoncé (2014). 8. She paved the way for every female artist. And they should thank her. 9. Sorry Jay-Z, but Madonna is pop music’s greatest living entertainer. 10. Believe it or not, she’s starred in a few decent films. The New York Post reported on an incident that occurred between Madonna and designer Valentino at the WSJ Magazine Innovator Awards bash, claiming there has been a falling out between the two. Madonna’s been locked in the recording studio. Regarding your question [about Madonna and Valentino], as the song goes, their love is here to stay. They remain very good friends and Madonna winked at Giancarlo – also a good friend who she adores – after she told him not to film her… sometimes known as joking around with a person. LA-residing musician Ariel Pink made headlines after his interview with Faster Louder spread like wildfire on the net. During the interview he “revealed” he was working on Madonna’s upcoming album… rumours that were quickly denied by Madonna’s manager Guy Oseary. It wasn’t really the collaboration that made the news, but his negative comments. Everyone is entitled to their opinion and I am certainly entitled to mine. I wouldn’t call them up to go for pizza but I have nothing against either Grimes or Madonna, in fact I am a huge Madonna fan. I just see it as evidence of just how easily people are manipulated and persuaded to feel something that isn’t the case. Journalists take my words out of context, put them up on a blog and people read it. Those words don’t have the same ring to it as if you are sitting in a room with me and you get the sense of a body or a person, if you did, you would know that I don’t feel the way I am made out to feel. On the one hand people know the media skew and manipulate things, but they continuously ignore that fact and go back to it for more fodder. I don’t pander to the core public opinion and I just find it amusing. 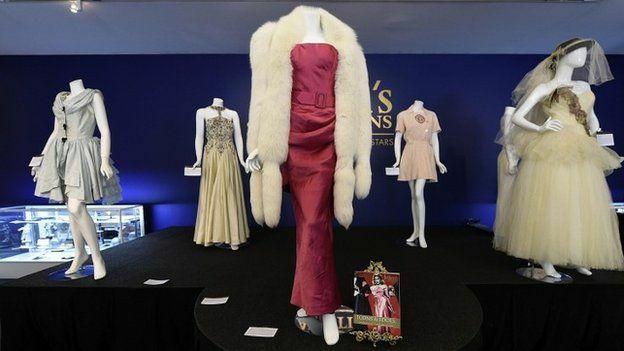 A collection of dresses and outfits worn by Madonna during her career in music and film helped a celebrity auction raise $3.2m (£2m). The highest lot was a jacket from Desperately Seeking Susan, which fetched $252,000, while a gown from her Material Girl video reached $73,125. The wedding dress Madonna wore when she wed actor Sean Penn in 1985 sold for $81,250 (£51,192), while a dress she wore on her Who’s That Girl tour reached bids of $50,000 (£31,503). Promothing her new book on USA Today, Jennifer Lopez talked about Madonna being an inspiration to her. I get so inspired by other women. Just that little thing… just seeing that one picture inspired me. I would have liked this message when I was in my twenties or in my teens. Just that planted seed could have made me start thinking differently about myself, about my life. British Airways has developed a special “Sound Bite” menu that pairs in-flight meals to a 13-track playlist on the airline’s audio channel. The songs have been specifically selected to enhance certain dishes and draws inspiration from a recent study by Oxford University. Listening to the high tones in Madonna’s “Ray of Light” is expected to boost the sweet flavors in the rich pudding dessert. The study revealed that listening to music not only increases productivity but also heightens a person’s taste buds. In what he now refers to as “Sonic Seasoning,” Oxford professor Charles Spence concluded that listening to certain songs could make food taste up to 10 percent sweeter or more salty. British Airways is one of the first businesses to employ this research to elevate the traveler experience.